In teaching courses on editing at UC Berkeley extension, I assigned various books that focused on grammar, usage, proofreading, copyediting, and publishing. I searched for a book on developmental editing. None. “The Chicago Manual of Style fifteenth edition, merely mentions the subject. 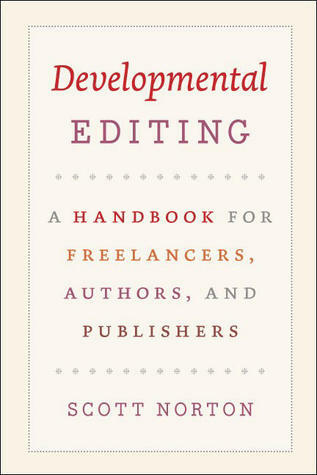 Developmental Editing: A Handbook for Freelancers, Authors, and Publishers (Chicago Guides to Writing, Editing, and Publishing) is unique. The artfully constructed case studies Norton presents engage the reader throughout the book — from the first chapter, “Concept: Shaping the Proposal” to the final chapter, “Display: Dressing Up the Text.” Two examples of his creative case-study approach follow. “Thesis: Finding the Hook” (pp. 48-67) begins with the developmental editor (DE) taking a first look at the book proposal and noting that the two coauthors, an anthropologist and a sociologist, both second generation Mexican Americans “had too much to say on their subject, and many of their theses contradicted each other” (p. 51). Even a brief browsing of Joseph Williams’s STYLE would persuade most readers that it makes the much touted Strunk & White’s “The Elements of Style” look, well, elementary. Simplistic. If the seductively slender “Elements” — easily read in a day, no exercises to do — could deliver the claim on its jacket, by the end of the day there’d be millions of excellent writers. The 11th edition of STYLE has been ably co-authored by Joseph Bizup. Among the enhancements Bizup presents are reordering of two chapters so that the trajectory is from clarity to grace instead of from sentence- to document-level. He has added many new exercises “grouped under the heading `In Your Own Word,’ that invite writers to work with their own prose” (p v). The author of The Artful Edit, Susan Bell, a veteran editor of fiction and nonfiction books, teaches at New York’s New School graduate writing program. 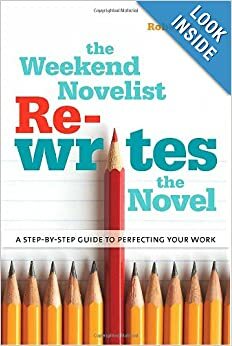 She notes: “Many writers hanker to learn about a process that lives at a hushed remove from the `glamour’ of writing: the edit. 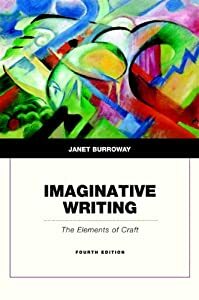 They want what most creative-writing classrooms are hard-pressed to give, which is detachment from their text in order to see it clearly. . . . Classroom critiques, while helpful, are limited. Too often they don’t give a systematic view of a writer’s work, and train him to develop a thick skin more than a sensible one.” This accords with my experience in an MFA program. Bell cites editing practices of several established writers such as Tracy Kidder’s The Soul Of A New Machine, Ann Patchett’s Bel Canto, and Michael Ondaatje’s The English Patient. 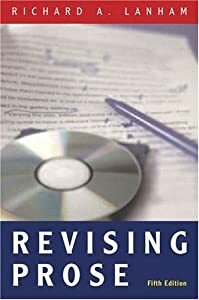 ★★★★★ : Revising Prose (5th Edition) (Paperback) by Richard Lanham, reviewed by C. J. Singh on amazon.com, copy posted March 12, 2010 (55 of 55 people found the review helpful.) – See all my reviews. In each of the five editions of “Revising Prose,” Lanham added fresh examples and exercises to its core content: the Paramedic Method comprising eight steps as follows. Basically, Lanham’s Paramedic Method advises you to delete prepositional phrases and “is” forms and replace them with active verbs. Below are four brief examples and a test-yourself exercise from the book. Merriam-Webster’s Dictionary of English Usage (MWDEU) is a thoroughly researched and witty compendium on usage. Unlike ‘Merriam-Webster’s Collegiate Dictionary,’ which has only occasional usage notes, MWDEU presents 2,300 detailed entries. Each MWDEU entry, typically, comprises a history of its usage, with examples cited from classic and contemporary texts, and concludes with a recommendation — not a prescription — from the editorial board. As an example of the MWDEU editors’ comprehensive review, let’s take a look at the “less/fewer” distinction. The authoritative usage reference in academia, “The Chicago Manual of Style, fifteenth edition,” prescribes a simple-to-follow rule: “Reserve ‘less’ for mass nouns, or amounts–for example, less salt, dirt, water. Reserve ‘fewer’ for countable things–fewer people, calories, grocery items, suggestions. One easy guideline is to use ‘less’ with singular nouns and ‘fewer’ with plural nouns” (p. 221). This simple prescription, however, is oversimplified. It is inaccurate as MWDEU notes below. MWDEU begins its detailed entry (pp. 592-94) by commenting on the above rule: “This rule is simple enough and easy enough to follow. It has only one fault — it is not accurate for all usage…. ‘Less’ refers to quantity or amount among things that are measured and to number among things that are counted. “As far as we have been able to discover, the received rule originated in 1770 as a comment on ‘less’: ‘This Word is most commonly used in speaking of a Number; where I should think Fewer would do better. “No Fewer than a Hundred” appears to me, not only more elegant than “No less than a Hundred,” but more strictly proper–Baker 1770. 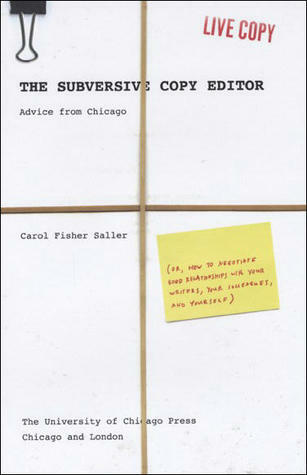 ★★★★★ : The Subversive Copy Editor: Advice from Chicago (or, How to Negotiate Good Relationships with Your Writers, Your Colleagues, and Yourself) (Chicago Guides to Writing, Editing, and Publishing) (Hardcover) by Carol Fisher Saller, reviewed by C. J. Singh on amazon.com, copy posted June 2, 2009 (62 of 63 people found the review helpful.) – See all my reviews. While teaching courses in editing at UC Berkeley extension, I always assigned The Chicago Manual of Style and Richard Lanham’s Revising Prose (5th Edition) for the introductory course. 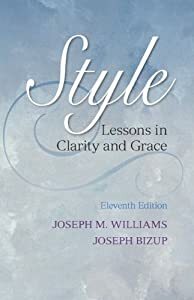 For the advanced course, we studied Joseph Williams’s Style: Lessons in Clarity and Grace (ninth edition). As noted in my detailed reviews of the two latter books, most students found them excellent. I’m sure they’d be just as enthusiastic about The Subversive Editor by Carol Fisher Saller. 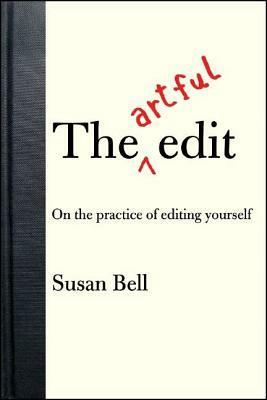 In fact, I’d place this book near the top of the reading list for anyone interested in learning how to edit. Saller, a senior mansucript editor at the University of Chicago Press, also edits “The Chicago Manual of Style Online’s Q&A.” Written with charming wit, her brief book presents numerous tips. For several samples from the book, please read on. Introducing her book, Saller writes: “Although people outside the Press address us `Dear style goddesses’ and assume we are experts on everything in the `Manual,’ most of the time I feel more like the pathetic little person behind the curtain in `The Wizard of Oz.’ It’s only because I’m surrounded and protected by knowledgeable and generous coworkers that I can assemble the authoritative front that appears in the Q&A” (p. xi). From the Q&A: “Q/ Oh, English-language gurus, is it ever proper to put a question mark and an exclamation mark at the end of a sentence in formal writing?” (p. 31). “A/ In formal writing, we allow a question mark and an exclamation only in the event that the author was being physically assaulted while writing. Otherwise, no” (p. 43). 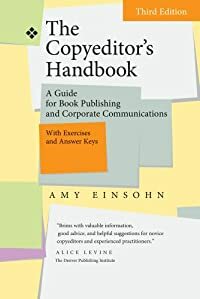 ★★★★★ : The Copyeditor’s Handbook: A Guide for Book Publishing and Corporate Communications (Paperback) by Amy Einsohn, reviewed by C. J. Singh on amazon.com, copy posted August 17, 2011 (35 of 37 people found the review helpful.) – See all my reviews. While teaching UC Berkeley’s courses in “The Professional Sequence in Editing,” I regularly assigned selected exercises in this book’s earlier editions as preparation for more complex exercises in class. The students’ evaluations of the book were always favorable. This edition presents a fast-track introduction to the many changes in the Chicago Manual of Style, sixteenth edition, 2010. I particularly appreciate the handbook’s references to the Merriam-Webster’s Dictionary of English Usage. (See my review of this great usage dictionary on Amazon.) Ever since its publication in 1989, I have regularly enjoyed reading MWDEU’s scholarly entries. These 2300 entries, often witty, drawn mainly from literary sources are a refreshing contrast to Garner’s stridently prescriptive injunctions in the Chicago Manual, drawn mainly from journalistic sources. Review of the latest edition of Constance Hale’s Sin and Syntax: How to Craft Wickedly Effective Prose is forthcoming, and will appear in the next few weeks.